The aim of the testboard was to experiment with a range of different in-game elements, all based on the idea of a floating prison (or fortress) that was starting to fall to pieces in the face of some kind of attack. 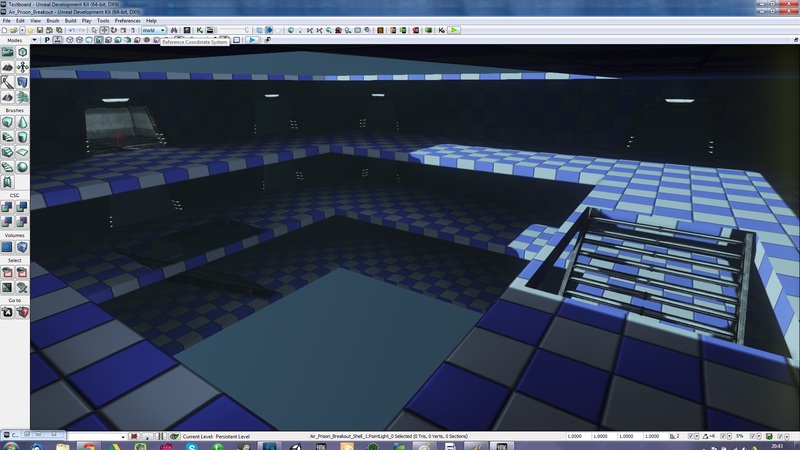 In the screenshot above you can see experiments with scales and sizes, particle effects and room layouts. In the testboard blog piece you can see some scripted moments, matinees and destructible environments. As rough as it was, I liked a lot of the elements that I put together. More importantly, the experiments solidified the idea of the level; what I was looking at was a floating prison in the midst of a prison break, threatening both the lives of the men and women on board and those of the citizens beneath it. (To those asking the only sensible question, why would you float a prison above a city, the answer is simple; to threaten and deter. If there is a constant reminder of your fate hanging above your head, the logic goes, people will be more mindful of their actions. Oh, and it was supposed to be impossible to break out). The goal is now clear; to turn a testboard of ideas into a game level which tells the story of a prison break happening on a floating prison. At the moment, the idea is for the player character to be an Air Marshall, of sorts, undercover on the ship, who now has to save the day. That might change; I don’t have actors and huge budgets for cutscenes so the narrative must be clear to the player with very little actually said. Undercover characters require a second level of understanding. You can’t take all their actions at face value, so the motivation of the player character, and therefore the player, might change throughout development. Thinking about visual storytelling will be a vital component of this design. I will talk about this in future posts. My first step in producing this level is to block out a section of the prison with BSP. When the shape is how I want it, I’ll start replacing BSP with meshes and breathe a bit more life into the world. Up to now I have blocked out the first shell of the prison. You can see it in the picture above. Each shell will be split into three levels. Each level will have cells, guards rooms and a door to the next shell. In the end, the prison will comprise of three of these shells. In order to fully communicate the narrative, each shell will be in a worse state of repair, indicating the prison falling to pieces as time passes in the level. I’ll be posting regular updates as this level comes together. 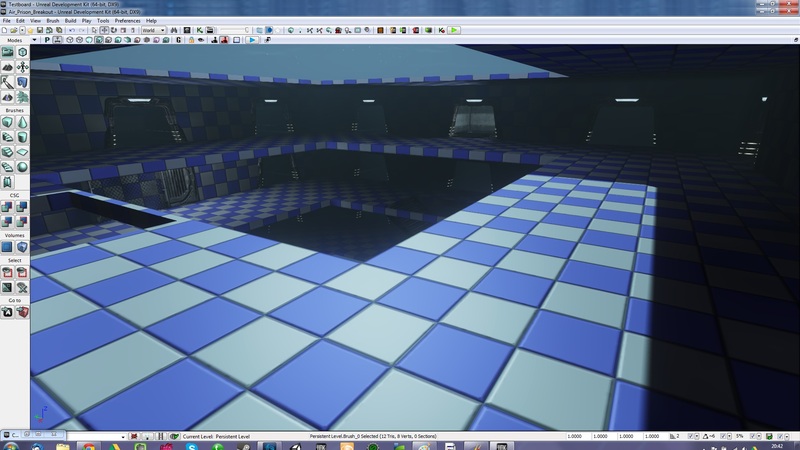 This entry was posted in My Designs, Unreal Dev Kit and tagged UDK, Unreal by markbridle. Bookmark the permalink.